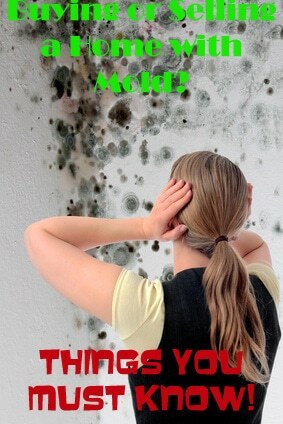 One of the major air pollutants around the world is mold. Although exposure to low concentrations is completely harmless, in greater quantities it can have harmful effects to both material and people. The duration of the exposure is also a factor. Below are tips and advice on what you need to know about mold when buying or selling a house. There are both indoor and outdoor molds and an exact count of the various types is unknown. It is estimated there are hundreds of thousands of mold types in the world. These microorganisms prefer damp, humid, and warm areas. However, its spores are extremely resistant, even in dry and cold conditions. They are transmitted via air or water, and when the conditions are right, they will start growing and creating colonies. Mold can basically grow on anything that is organic. This winter, as the damp begins to increase in the intimate corners of your home, you may begin to notice little black patches that should not be there. These patches are mold patches, and can have all kind of implications on the appearance of your home and your health. Having mold in your home is a serious condition that needs to have remediation performed immediately! In general, you can’t eliminate mold and its spores for good, but you can limit their presence. If there is already mold growing in your house, clean it and remove the source of damp immediately. It’s important to eliminate both the problem and the cause, in order to prevent new occurrences. Controlling the factors below that help produce mold will help you control its growth! Reduce moisture – The key to keep mold at bay is moisture control. It should be no higher than 60%. If you have an overall existing problem with moisture in your home, consider buying an air conditioner, dehumidifier, and certainly use fans when necessary. The moisture level in the atmosphere changes in the course of the day, as well as the air temperature. This means that you need to measure these more than once a day in order to undertake adequate actions. Reduce water leaks – If mold was not a reoccurring problem and only showed up recently, maybe there are leaks in your plumbing, roof or walls. Make regular checks to ensure that your home is in good condition. If you stumble on leaks, fix them immediately before the problem aggravates. Reduce humidity – Humidity is difficult to control and is affected by the environmental factors. Ventilation is a great prevention tactic. Keep the windows open during the sunny days. Start using your exhaust fans, air conditioners and humidifier, especially while cooking or cleaning the house. Bring sunlight – Mold is unable to survive in warm and dry conditions. Bring as much sunlight as possible into your house, while keeping the humidity at low levels. Use common sense – Completely dry all carpets, clothing, and upholstery. If items such as books or wood get wet, ensure they are wiped down and dried as well. When storing your belongings, ensure there is no visible mold before boxing your valuables up. However, if there was a severe mold infestation, and both remediation and cleanup have occurred, there may be limited instances where you may want to hire a qualified professional to ensure the mold cleanup was complete. It is important to remember, without established control and standards, acceptable mold level test results is open for interpretation. If you are unsure whether you have mold or not, it is advisable to hire a pro to come check out your property to ensure mold is not present. In general, mold can be cleaned with commercial cleaning products such as soap and water. Expensive detergents will also do the job. Removing mold is not a rocket science. What you need is the right cleaning product, a whole lot of scrubbing (preferably with a soft brush), protective eye and skin wear, and ventilation to ensure you are breathing clean air. 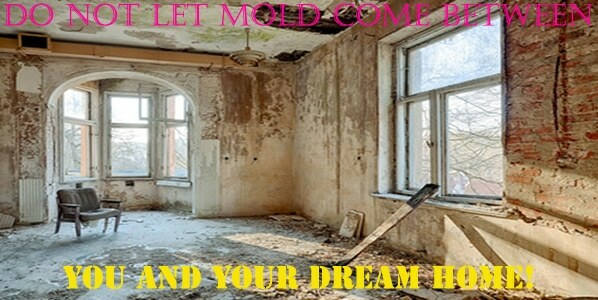 In the case of mold, prevention is better than cure. Ensure proper circulation throughout your home by keeping windows open each day to reduce the risk of it developing. Keeping areas that receive minimal light dry can also stop its development. If you suspect you have a minor mold problem, cleaning the mold off with a special cleaner, and painting over the area with mold-proof paint can rid yourself of the problem. In severe cases you may need the help of professional cleaners, to remove the mold problem and give you back your house and health. A guide to mold and moisture by the Environmental Protection Agency. Mold resources via the Centers for Disease Control and Prevention. 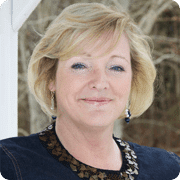 If you found this information on what you need to know about mold when buying or selling a house useful, please consider social sharing it. Thanks Jay. Glad you enjoyed the information and learned a thing or two as well. Thank you Jay. 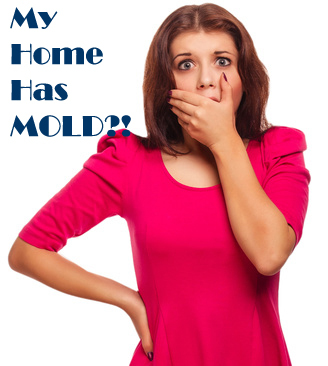 Mold is a serious issue that needs to be dealt with quickly.